Through Sands Cares, Las Vegas Sands and its properties give back to the communities in which they operate as part of our responsibility as good corporate citizens. Sands for Singapore, an initiative through Sands Cares, is a multi-day festival that serves to increase public awareness of partner charities and raise funds for them through several series of events. 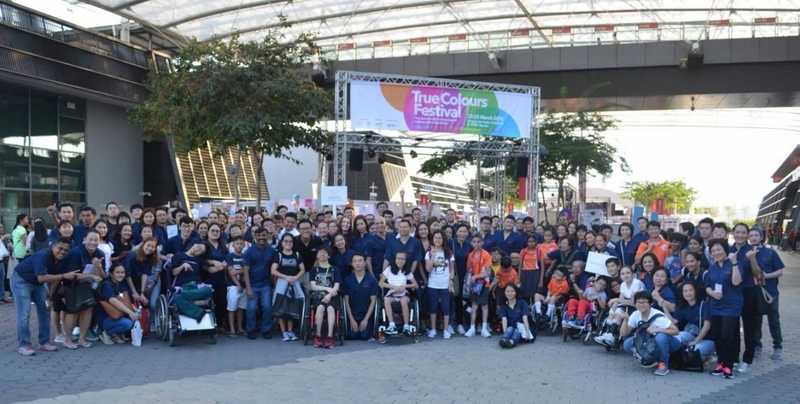 At the True Colors Festival in March, more than 100 Team Members at Marina Bay Sands spent an evening with 40 Sands for Singapore beneficiaries from Cerebral Palsy Alliance Singapore (CPAS), Association for Persons with Special Needs (APSN), and AWWA. The festival brought together some of the world’s foremost artists with disabilities in a multi-faceted celebration, including a concert – featuring more than 150 performers from 18 countries – and interactive games that raise awareness of persons with disabilities. Team Member volunteers had the opportunity to be a “buddy” to their respective beneficiaries during an activity. To learn more about Sands Cares, visit the Las Vegas Sands website.